ZOMG, for the first time since I started this series, I forgot to post photos for October 2007 in October. Not surprising; I suspect I’m the most amused by these. 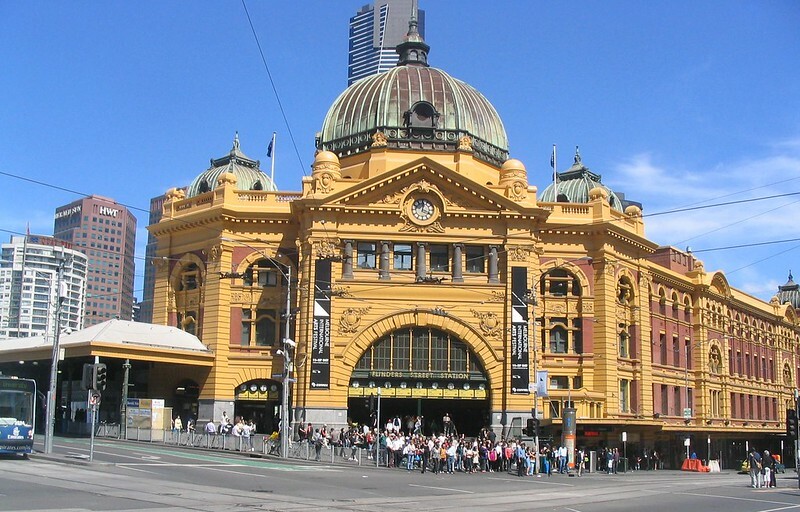 First, here’s the classic pic of Flinders Street Station. 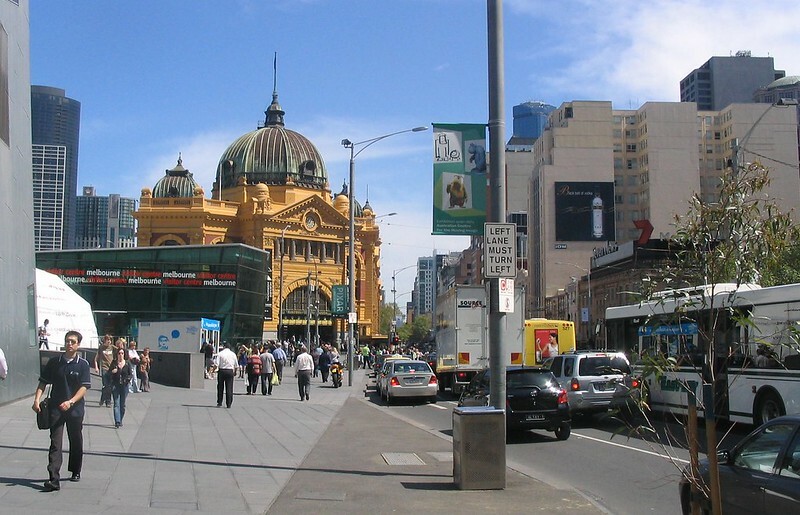 Basically the same nowadays, but covered in scaffolding for the renovation — back then there was also no tram platform stop adjacent on Flinders Street. This view looking across from the northern side of Federation Square. Somewhere in amongst all that traffic is a safety zone tram stop! Me in the City Square. 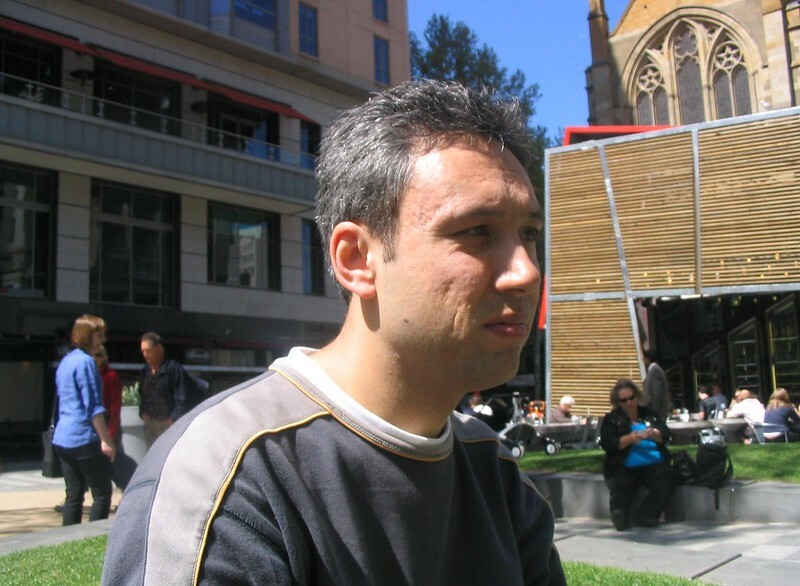 Less grey hair back then, and the Square itself is now rubble, with metro tunnel construction underway. 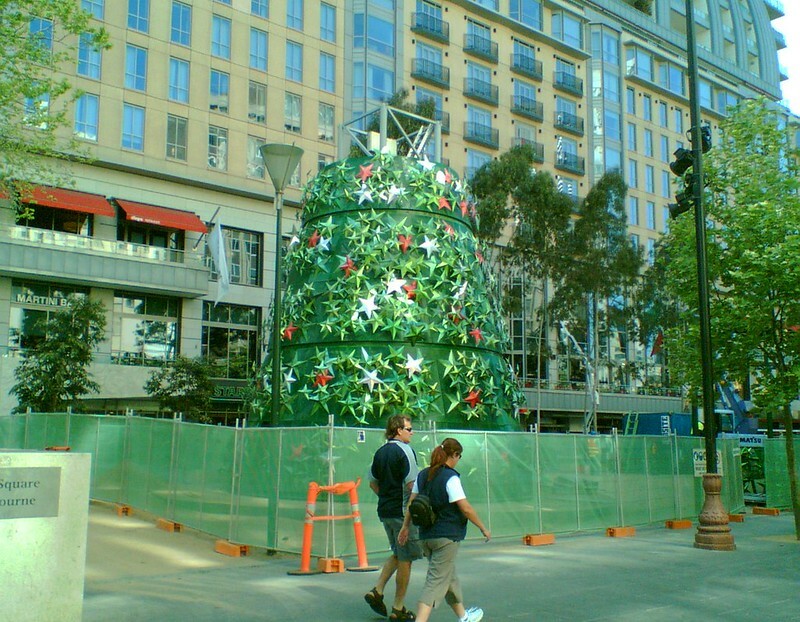 Also in the City Square, late in October the the Christmas Tree being built. 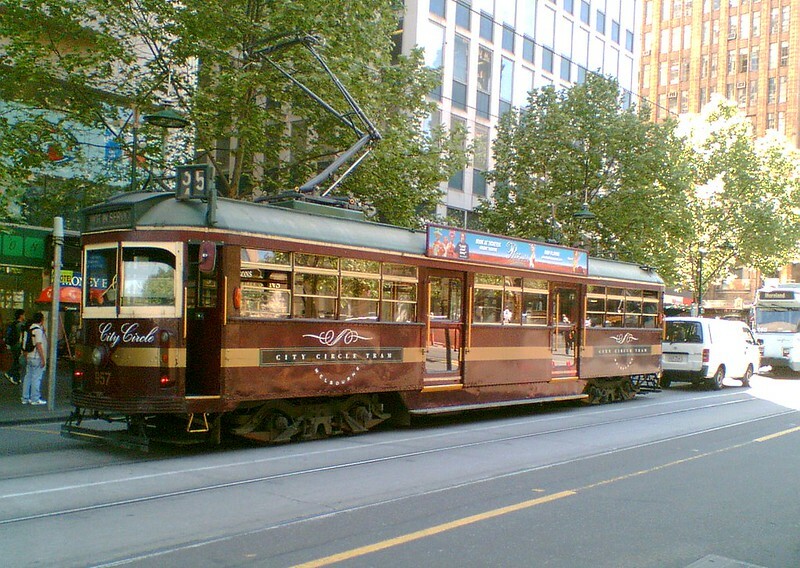 A relative rarity: a City Circle tram heading up Swanston Street, for reasons unknown. This spot has been remodeled with tram platform stops since then. 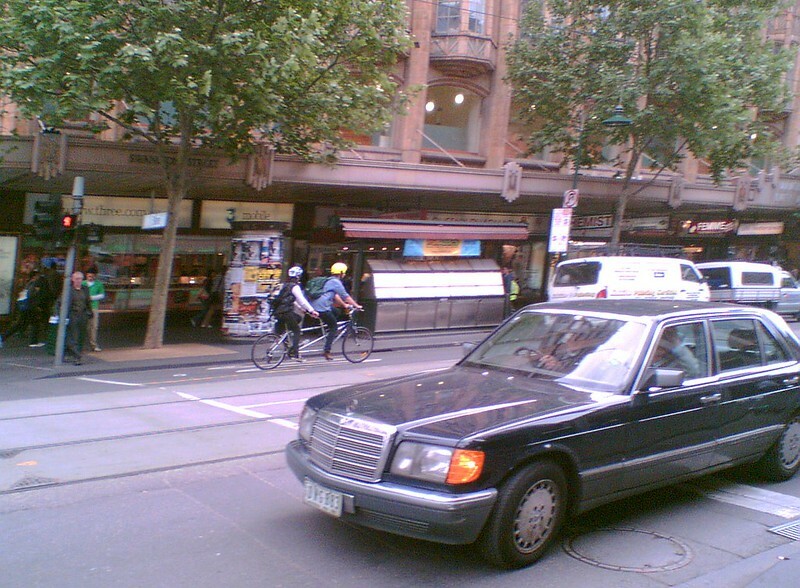 Swanston Street: a tandem and a Merc. Well, at least one of them is meant to be there. 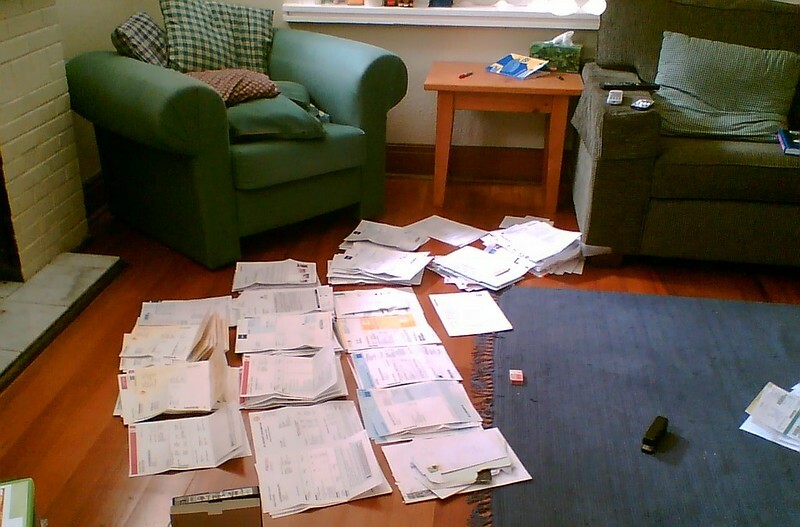 My home filing system, whereby everything piles up until I can’t stand it anymore, then I sort through it. Not good. Probably prompted by doing my taxes. I’ve done my taxes for 2017… though I am overdue to do some filing. Always like your 10-year retrospectives. Keep them up. Pre-selfie is also a good thing. 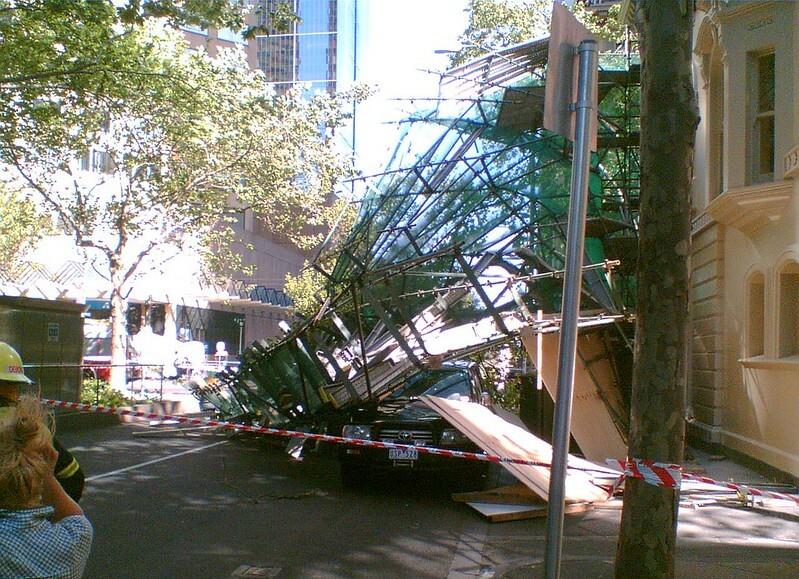 I thought the photo of the scaffold collapse was innovative artwork until I read you description. Glad no one was hurt,. 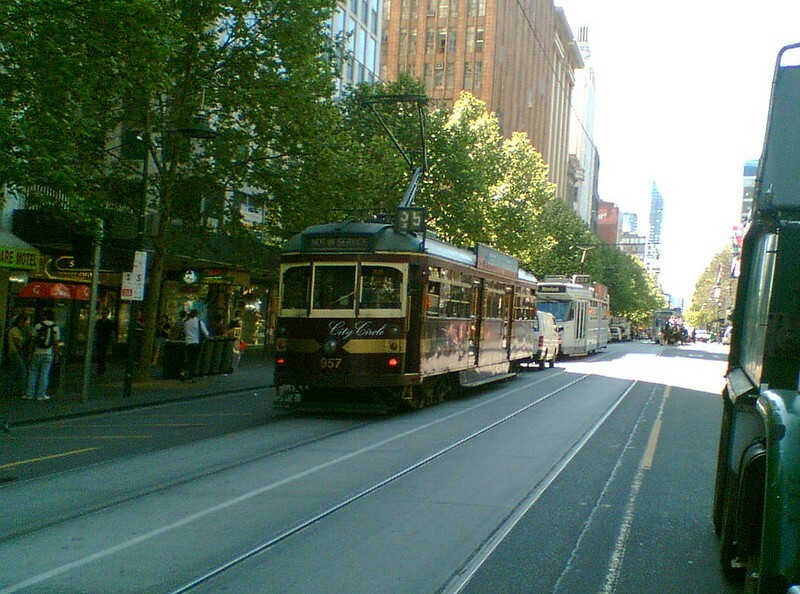 I wonder if that tandem is a hire from the shop next to Fed Square. Rather like no one at work notices you missing until you return and they realise they have not seen you. Btw, I very much your not overly detailed European holiday posts. Enjoyed is the missing word, of course.